Material: Shell fabric: 60% viscose, 33% polyamide, 7% elastane. Side parts: 65% viscose, 30% metal fibre, 5% elastane. 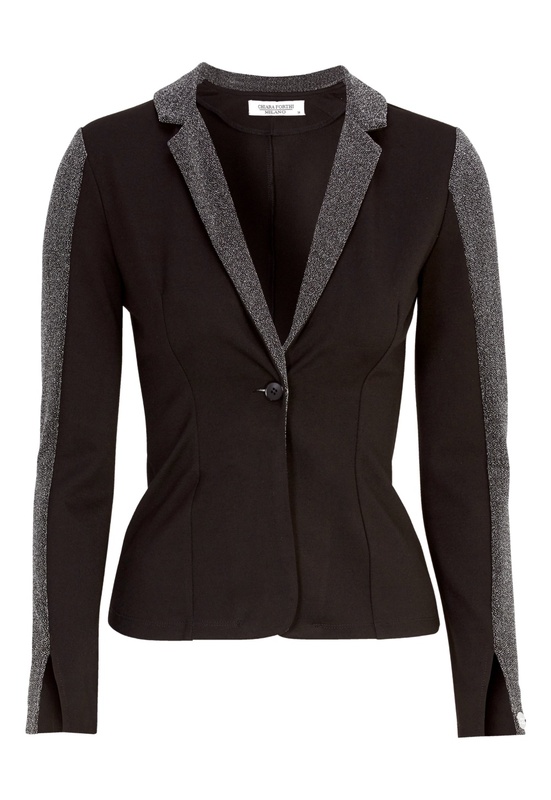 This season's most gorgeous blazer from CHIARA FORTHI. The blazer livens up any outfit, and is perfect with both jeans and suit pants. Add Brilliante Pants to your purchase, and you’ll have a beautiful party set! Total length of the garment in size 36: 59 cm.